IFT SUPPLIERS' NIGHT (BONNEVILLE) Date: April 2, 2019 South Towne Exposition Center SUPPLYSIDE EAST Date: April 9-10, 2019 Booth: F116 Meadowlands Exposition Center Secaucus, N.J.
UNITED NATURAL PRODUCTS ALLIANCE (UNPA) Date: April 30-May 2, 2019 Charleston, S.C.
JOIN OVER 5,000 SUPPLY CHAIN TEAM MEMBERS WHO ARE SOURCING NUTRITIONAL INGREDIENTS 24/7/365 The ingredientsonline.com™ e-commerce platform is a highly efficient online tool that will help you locate and source ingredients from around the world, providing efficiencies through advanced technology. Serving the dietary supplement, food & beverage, animal nutrition and personal care industries, this e-commerce platform allows for complete transparency with every transaction. Our newly launched Branded Ingredient listings showcase all the brand assets and documentation which tell the entire brand value proposition. These enhanced listings show clear points of differentiation from standard ingredient listings, and allow for downloadable documents, including published clinical studies, scientific research papers, QC certification, consumer data, intellectual property and more. Enjoy easier access to QC documents reorganized into a consistent format for every ingredient page. You will find three specific categories: Product Certifications, Product Documentation and Factory Documentation; all fully expandable to drill down and focus your search efforts, all in PDF format and fully downloadable. This consistent feature creates a highly efficient platform experience. •	Consolidated navigation with images •	Revamped filters that drill down your search •	Strategically redesigned ingredient pages, including the easiest and most efficient path to checkout •	Upgraded ingredient images complete with factory logo •	Upgraded factory profile page and factory search features •	Plus much, much more! MEET OUR HERBAL EXPERT Do you know Larry Martinez, our National Sales Director? Larry is a botanical extracts expert with over 22 years of industry expertise in sourcing and commercializing botanical extracts from around the globe. Larry will be at the ingredientsonline.com™ booth at several upcoming industry events, and is available to answer your botanical questions. If you’re considering adding to your existing SKU’s with botanical extracts, or formulating an entirely new botanical line, Larry is your man for formulation and sourcing expertise. Be sure to set a meeting with Larry TODAY! I’ve personally known Larry for over 20 years, and it’s an honor to have him join the ingredientsonline.com™ team as we continue to revolutionize the way nutritional ingredients are bought and sold. Larry understands that ingredientsonline.com™ is the future of the nutritional ingredients industry, which aligns perfectly with our core values and mission statement. In 1997, Larry launched Amax NutraSource — a leading supplier of botanical extracts — where he served as President and Founder. Larry’s key attribute in developing sales in the global nutritional industry was to focus on quality ingredients directly sourced from the factories, and to provide transparency and quality control measures for the customer. In today’s transparent environment, we understand the level of quality ingredients and quality service that you require, and we currently have over 450 botanical and herbal ingredients available. With the ingredientsonline.com™ e-commerce platform providing complete transparency on factory of origin, price, real-time U.S. inventory and downloadable QC documents, we will deliver not only on your requirement, but also on convenience and efficiencies that technology provides. Larry will be at SupplySide East Booth F116 and at IFT in New Orleans – Booth 619. Email marketing@ingredientsonline.com to set a customized meeting, or contact Larry personally at lmartinez@ingredientsonline.com. Factory Pricing Transparency Partnering directly with approved global factories allows for factory transparency that will save you time and money. Each ingredient listing clearly displays factory set pricing and tiered pricing discounts. Do you need larger volumes? No problem, just click on the High Volume button and negotiate your quantity and price directly with the factory. Factory of Origin Transparency Knowing the original source of all ingredients is now mandatory in order to be FSMA/FSVP compliant. All approved factories of origin are visibly apparent in each ingredient listing and are at your fingertips, 24/7. Maintaining consistent quality is as important as exceptional quality. Therefore, part of our quality control program includes keeping records of all approved factories of origin and tracking each customer's preferred factory requests. Standardized Quality Control Documents All ingredient and factory documents and certificates are now listed in a standard order for every ingredient listing. Prior to uploading any ingredient or factory information online, all documentation is reviewed by our qualified QC teams to ensure they meet our standards. Each ingredient listing clearly displays all documents in PDF format making it simple to point, click and download 24 hours a day, seven days a week. You can even order a sample with just one click. Real-Time U.S. Inventory Every ingredient page clearly lists real-time U.S. inventory, and you choose which warehouse to order from: California, New Jersey or Florida. In addition, our new U.S. Factory Direct option allows for U.S. factories to ship directly to you, saving even more time. Tap into Larry’s knowledge of how to formulate with botanical extracts! Standardized Quality Control Documents and Quality Control Processes Transparency and efficiency in the quality control process is our top priority. Now, QC document searches are easier than ever with our new expand/collapse feature which allows you to quickly find ingredient and factory documentation as well as ingredient certifications. You also have full access to the QC Process page to view our stepby-step QC program. We understand your time is very valuable but also limited, so we consolidated our site navigation to enhance your online experience. With fewer choices to navigate and additional filters to narrow your selection, your time sourcing ingredients online and checking out will be extremely efficient. Each ingredient listing page has been strategically redesigned to include the easiest and most efficient data right at your fingertips, allowing for the quickest path to checkout. Request a Sample Reward Points Free Shipping High Volume Bid Annual Bid Plus much, much more! Register now or login and let the ingredientsonline.com™ platform work for you. Each ingredient listed below may be available in different forms such as extracts, oil, powder, and with different strengths/percentages. Included in the 1,000 ingredients we offer: over 450 herbal and botanical ingredients as well as organics which are indicated by the icons found in the legend. 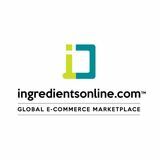 Visit ingredientsonline.com for an up-to-date ingredient list; just click on the Catalog. Kemin is a registered trademark of Kemin Industries, Inc.
BBCA GROUP HUAIBEI SINOGEL Amino Acid Co., Ltd.
L-Alanine, DL-Alanine and D-Aspartic acid with the most advanced scientific research, KOSHER, HALAL and ISO22000 certifications. Our biological engineering technology is friendlier to the environment than chemical synthesis production methods. We offer a competitive advantage with low production cost and high quality ingredients. Greentech Biochemicals Co., Ltd. is a leading supplier and representing partner manufacturer for Chondroitin Sulfate, Beta-Glucan, Keratin and Collagen. Greentech has 20 years experience and NSF, Halal and cGMP systems support the reliable quality control. Our most current list of ingredients can be viewed anytime, anywhere at www.ingredientsonline.com. 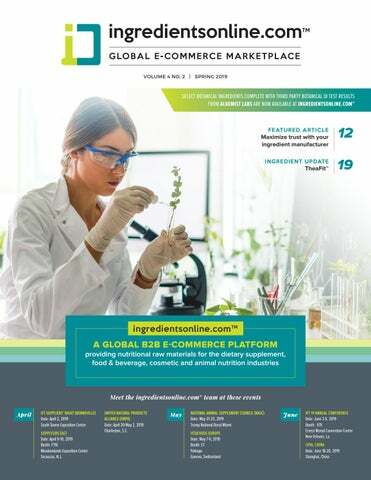 For our complete and most current ingredient listing with details such as tiered pricing, real-time inventory, QC documents and one-click sample orders, please visit our website at www.ingredientsonline.com. Value-Added & Branded Ingredients Now you can quickly and easily find quality branded ingredients along with all their documentation in one place. Review the benefits, science and points of differentiation, then easily add this branded ingredient to your shopping cart and check out. Take a look at this new category and check back often as we're adding new factories and new ingredients daily! tradition dating back to the Pony Express – disclosed that it would fork over $185m in penalties to regulators after an audit discovered that employees opened as many as 2m deposit and credit accounts in customers’ names but without their consent. Wells Fargo's stumbles have left its stock price badly behind rivals. Although Wells Fargo is up 16% since the scandal erupted two years ago, that's far behind the 47% rally for Citigroup and 70% spike for JPMorgan Chase. Bank of America has nearly doubled over that span. "There's no question that Wells Fargo's scandals are responsible for seriously eroding shareholder value," said Klepper. EU antitrust chief, Mario Monti, described as the "most damaging series of cartels the commission has ever investigated." •	Ryan Lochte has lost his major sponsors after it emerged he embellished a story that he had been robbed at the Rio Olympics, with Speedo saying it will cut ties with the U.S. swimmer. The announcement was followed by news that Ralph Lauren, Airweave and Syneron-Candela would also end their relationships with Lochte. Chinese vitamin C producers in a long-running antitrust battle that has pitted the U.S. Justice Department against China’s central government. GET THE FORECAST The responsibility of the relationship with an ingredient manufacturer is deeper and more important to the success of the supply chain than ever before. Consumers and customers demand more interaction and trust building interactions. The characteristics of the trust transparency process are not unique to the dietary supplement industry but are applicable and beneficial to follow. Every measure used to increase trust transparency with and from the ingredient manufacturer assists us all to become a better industry. SCOTT STEINFORD Managing Partner Trust Transparency Consulting Scott Steinford is a Managing Partner at Trust Transparency Consulting based in Spring, Texas. From starting companies to facilitating their acquisition, Steinford has an extensive and awarded track record encompassing the pharmaceutical and nutrition industries. He has held CEO or President roles in forprofit organizations such as ZMC-USA and Doctor’s Best as well as Executive Director and President roles in not for profit organizations. Trust Transparency Consulting combines trust with transparency to improve culture, values, relationships and customer confidence, enabling organizations to reach maximum value – internally and externally. Purchase the CoQ10 Insights Report at coq10association.org Get in-depth analysis on the scope of the CoQ10 market, its history, forms, applications and market challenges, as well as an examination of the market’s size, revenues, and forecasted growth. Plus, a breakdown of key suppliers, brands, and ongoing and competitive factors that will play a role in CoQ10’s future growth and development. BETAINE ANHYDROUS/ BETAINE HCl Supply is a little tight due to the Chinese New Year, but expected to be stable from February to April. BRANCHED-CHAIN AMINO ACID (BCAA) It is hard to say at the time of the Chinese New Year, but we believe the price will come down step by step as more production capacities step in. As we mentioned in the last report, some factories are resuming the fermentation of Leucine and are making BCAA on their own instead of selling it to the factories who make the blend. CAFFEINE SYNTHETIC/ THEOBROMINE Price is currently stable. currency exchange rate. The feedback from some factories make us feel that the pollution control is not as strict as it was in 2017. Most factories can still run production instead of completely shutting down, and this trend is typically reflected in the major vitamin factories. Some major factories have had great success since the end of 2017 to 2018, and plan to expand production to further optimize their supply chain and resources. The market change will be reflected step by step with completion of this expansion and output. CALCIUM/MAGNESIUM/ MANGANESE SODIUM/ POTASSIUM/ZINC GLUCONATE Due to the anti-dumping issue, China stopped exporting this series of products to the U.S. The local price remains stable. CALCIUM/MAGNESIUM/SODIUM BETA HYDROXYBUTYRATE Price is currently stable, but due to the additional duty fee, the sales were slow in Q4 2018. Customers started to realize this was not due to factory increase, but the duty fee, so the demand bounced back in Q1 2019. Supply is still good, and there will not be a big change for this product. CALCIUM/MAGNESIUM CITRATE More of this product with origins in India have come to the U.S. market to supply citrate salts. Prices are stable. CALCIUM D-PANTOTHENATE Price decreased a little after the Chinese New Year. Some distributors stocked more than usual before the Chinese New Year in fear of a price increase, but now the availability is better than expected, and they will try to move stock ASAP. CHOLINE BITARTRATE/ CHOLINE CHLORIDE The market, including price and supply are both stable. CHONDROITIN Price was down to the bottom before the Chinese New Year, and there is a sign of bouncing back. Now is a good time to stock Chondroitin if you have a good price. CITRIC ACID ANHYDROUS All antidumping issues have been settled, and there have been no big changes recently. Price remains stable. COENZYME Q10 (CoQ10) The major factories are locked with huge U.S. buyers, and the market is quite stable for spot purchases. Price is stable for Q1. Some old factories are closed and some new factories have stepped in. In general, the output from China to the U.S. remains stable. Glucosamine supply is still tight and increased a little due to the Chinese New Year. Price is already higher than that of last year and will remain stable for Q1. COLLAGEN Competition is more and more intense, but different factories have different strategies for pricing and quality type. Therefore, here is a reminder to please make sure which type you are getting, and if the price is right, including starting materials with origins of fish, bovine, porcine, etc. And, also make sure the starting material is pure enough instead of mixing different origins. CONJUGATED LINOLEIC ACID (CLA) OIL AND POWDER Price increased a little due to labor costs and currency exchange. Production and output are stable. Due to pollution control since the last update, supply is becoming tight and price is going up. Price is stable and factories are now keeping a reasonable level of profit. It will remain stable in Q1. L-ARGININE/L-CITRULLINE Availability is good from China, Indonesia, Korea and Japan. Price is stable at its lowest level in history. Competition between the major factories from the above four countries are still in place, and we will look again at how things are going next quarter. Price is stable but keeps rising little by little due to starting material and labor costs. GRAPE SEED EXTRACT The market now has a better understanding of the real grape seed and how to do the identification test. Production is more and more centralized in a few factories, and the price is stable. JIANGYIN HUACHANG Food Additive Co., Ltd. Meets the sterile requirement of 100,000 levels GMP standard Founded in 2007, Jiangyin Huachang Food Additive Co., Ltd. is located in the center of the Yangtze Delta Economical Zone. Shandong Jincheng Bio-pharmaceutical Co., Ltd is a publicly listed company in China and is honored as a National High-New Technology Enterprise. Main products are manufactured by microbial fermentation technology and advanced biological extraction and purification technology. MAIN PRODUCTS: NEW PRODUCTS: •	L-Glutathione Reduced •	AA2G •	S-Adenosyl-L-Methionine (SAMe) •	L-Alanyl •	Ademetionine Disulfate Tosylate •	L-Hydroxyproline •	Ademetionine 1,4-butanedisulfonate •	Pyrroloquinoline Quinine Disodium Salt (PQQ) α-Ketoglutaric Acid series of products Jincheng Pharm holds GMP, Kosher and Halal certificates. Glutathione has DMF registration in Japan, Korea and India. very good. The factories are fully on back order, and supply is very tight. L-CYSTEINE/L-TYROSINE The market is currently stable. L-GLUTAMINE Price increased a little due to the Chinese New Year, but is generally stable due to the good planning among major factories Meihua and Fufeng. L-GLUTATHIONE REDUCED A shortage of raw material has caused the short supply. Price is presently at a high level. Output is limited, but demand is not strong either, so the price is currently stable. LUTEIN The trend of increase since our last update came to an end and now tends to be stable. It is still early to predict the harvest of 2019, and we will have more details in May. Since the increase in Q4 2018, price tends to be stable for now. Some factories increased their output a little and this is another reason the price is stable. PYRIDOXINE (B6) As is with Thiamine, factories are trying to make more sales, so some favorable terms and prices are being given to distributors in the hopes of gaining more orders. It is a good time to prepare some stock. RIBOFLAVIN Price is stable now. Supply was a little tight due to the Chinese New Year, but the production is generally stable among major factories. SODIUM HYALURONATE Price remains steady for now. Shanghai KangXin Chemical Co., Ltd. SPIRULINA Price is stable but may increase a little due to the labor cost increase and currency exchange rate. STEVIA Price is soft now due to a good harvest from last year. Most customers develop their own demand of what kind of RA ratio best fits their formula, and usage is very stable. SUCRALOSE The capacity of production of suppliers can now meet the requirement. Price tends to be soft in Q1 and needs more demand to keep the price stable. TAURINE Price is stable and a little soft due to the Chinese New Year. The price in Q1 will remain stable. Shanghai KangXin Chemical Co., Ltd. is a joint venture company founded in 2000 and is located in Shanghai, China, which covers 2000m2 and is one of the earliest manufacturers in China dedicated to providing high quality products of food additives worldwide. KangXin is a certificated company of â&#x20AC;&#x153;Food Additive Production/Health Permitâ&#x20AC;? issued by the Ministry of Health as well as ISO9001 Quality Management System and kosher certificate. THIAMINE The major factories have been running well since last October, and there is no availability issue. It is a good time to prepare some stock, and the price is at reasonable level. VITAMIN A/VITAMIN D3 Price is generally stable and temporarily increased a little due to the Chinese New Year. Some factories will expand the production, so the price will not likely increase too much and will go back to being stable after the Chinese New Year. VITAMIN B12 The market is calming down from the craziness of the big jump. Most distributors are trying to avoid the risk of stocking and only import based on firm orders only. Price is slightly decreasing but still at high level. VITAMIN C Price is currently stable and soft. All major factories were running production well in winter 2018, and new factories also have continuous output. It is expected a new factory will come out in 2019 and this will keep ample the supply of Vitamin C.
VITAMIN E Food grade and feed grade are both stable at their current level. XYLITOL/XYLITOL DC Price is currently stable, and factories are keeping a reasonable profit. With large buyers locked in on price, the price trend is expected to be the same in Q1 2019. Date: April 9-10, 2019 Booth: #F116 Meadowlands Exposition Center Secaucus, N.J. Date: July 16-19, 2019 Terranea Resort Rancho Palos Verdes, Calif. Date: April 30-May 2, 2019 Charleston, S.C.
IFT 19 Annual Conference Date: June 3-5, 2019 Booth: #619 Ernest Morial Convention Center New Orleans, La. OCTOBER SupplySide West Date: Oct. 15-19, 2019 Mandalay Bay Convention Center Las Vegas, Nev.
Sichuan Tongsheng Amino Acid Co., Ltd specializes in research and manufacturing of amino acids, protected amino acids, amino acid derivatives and pharmaceutical raw materials. Certified by Kosher, Halal and ISO9001 with manufacturing capability from reagent to tonnage grade. Arent, Shawn M. (2015). United States Patents 9,101,656 and 8,563,047. T R A N S PA R E N C Y ingredientsonline.com™ isn't just about having a marketplace to buy and sell raw material ingredients. One of our core principles is to ensure that the raw ingredients we have meet not only our quality and safety standards, but our customers as well. With the advent of FSMA into the world of food safety, and the FDA's recent promise to modernize dietary supplement regulation, it is becoming increasingly important to make quality, safety and transparency between buyers and sellers our utmost priorities. In order to embody these fundamentals, and ultimately foster trusting relationships with our customers, we have developed a robust and intensive QA/ QC process to ensure the quality of service we provide. We qualify our manufacturers and conduct randomized ingredient testing with accredited U.S. third party laboratories to continuously verify the quality of our factory partners and their ingredients. STEP 1: FACTORY QUALIFICATION With ingredient suppliers located in various countries around the world, establishing factory qualification programs can be an extremely daunting, albeit necessary task. Before we even bring a factory onto the ingredientsonline.com™ platform, they must undergo and pass a thorough evaluation process to become “qualified.” Our audit checklist reviews everything from site security to production procedures, to testing verification and compliance certifications. We review every procedure related to cGMPs, food safety and hazard analyses. Documentation audits and inspections are meticulously carried out for both new and existing factory partners. STEP 2: INGREDIENT QUALIFICATION In order for a qualified factory to showcase their ingredient on the ingredientsonline.com™ platform, they are first given a list of required product documents that must be reviewed and accepted by our QA/QC team. These documents include the product's specification sheets, SDS's, manufacturing flow charts, etc. We review and audit all these documents before approving the ingredient. If any document is missing or in question, those concerns are addressed and resolved before the ingredient is placed online. Additionally, we understand the importance of supply-chain transparency, so these documents are conveniently downloadable on the platform. Our goal is to provide as much information as possible on every ingredient. Since we’ve already established a relationship with the factory during their qualification process, any additional information that might be needed is just a couple of emails away. STEP 3: MATERIAL QUALITY AND CONSISTENCY We understand that above all else, the quality of the material and adherence to specifications are imperative. In order to establish quality, there needs to be consistency in practice and process. For that reason, we select random samples from our inventory and submit them to a battery of rigorous tests: identification, assay, constituent claims, heavy metal contamination, etc. We partner with accredited third party U.S. laboratories to perform these tests for us. Each compliant result strengthens the confidence of our factory partners even after they’ve been qualified. STEP 4: WAREHOUSING AND CUSTOMIZED SHIPPING Since ingredientsonline.com™ does not perform manufacturing operations, those cGMPs remain the manufacturers’ responsibilities. However, we can control how we store the products as you’re adding them to your cart. Our warehouses are meticulously arranged to minimize cross-contamination. Your customized shipping needs are never compromised. We carefully record your shipping instructions on each purchase order and make sure each request is fulfilled on time. We also perform three independent checks on each shipment before they leave our docks, verifying a match between the staged product and requested order. Every ingredientsonline.com™ customer can trust that they will receive what they ordered, how they ordered it — every order, every time. STEP 5: CONTINUED FACTORY EVALUATION We all know that it isn't enough to just qualify a factory once and assume they'll continue to meet your standards as time passes. For this reason, factories must undergo a regular requalification process to confirm their practices still meet our standards. Factory performance is also consistently reviewed and taken into account to determine if they are a good fit for ingredientsonline.com™. Factories are graded based on the quality of their products, their willingness to provide customer support, the amount of complaints related to themselves or their products and the condition of their shipments among other things. Warning letters are sent to factories that start to underperform. Any factory that continues to score below our standards are disqualified and removed from ingredientsonline.com™. This ensures that we only partner with factories that can live up to our expectations. Join QC Manager, Felicia Ly, as she outlines our entire QA/QC process in a step-by-step presentation on ingredientsonline.com. ingredientsonline.com™ is dedicated to providing high quality ingredients and accurate documentation, however, any documentation provided by or testing performed by/for ingredientsonline.com™ does not absolve the customer from doing their due-diligence regarding the quality of the ingredients they purchase.